Negative rear toe: I rebuilt the rear end on the E30 with new OEM trailing arm bushes, poly sub-frame and diff bushes. I also added a whiteline 16mm sway bar. It already sits on Bilstein shocks and springs lowered 30mm, although I’ve used additional 5mm spring pads to help clear the 16” wheels. So I took it in for wheel alignment and I have negative toe 3.5mm LH and 5mm RH. Excessive front LH camber: To complicate things there was excessive camber up front and regularly bottoming out. Thicker spring pads, new strut mounts and control arm bushes has sorted out the RH but LH is still a problem. I had a good look but nothing appears to be bent and shut lines and panels look straight.. Is it possible that the shaft in the shock is running untrue and needs rebuilding? Or any other ideas on what be going on? Comments and advice appreciated. 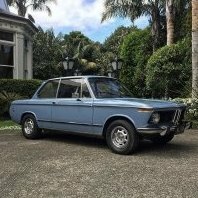 https://www.trademe.co.nz/motors/used-cars/bmw/auction-1838877275.htm?rsqid=78379e3eea794a588b2e7ea4f1045ebb I spend six months offshore and the E30 market goes this crazy? This HAS to be a pisstake. https://www.trademe.co.nz/a.aspx?id=1802815321&amp;tm=email&amp;et=45&amp;mt=2A1A6709-5791-44E1-AFDB-C46190AEDD43 E30 with 330 manual conversion, built as father son project that got away on spec and cost. Sounds like a fun car but it would be almost dangerous in the wet if you weren't a skilled driver. Hi all, I’ve recently acquired a Lapisblau (navy blue) E30 as a bit of a project. I’m looking to sign write it with a (preferably period correct) livery and would like opinions on what everyone thinks looks best! Cheers! P.S I’m leaning towards the M1 Pro-car inspired Hugo Boss Livery. Cheers, Shaun. 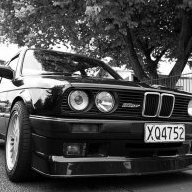 Looking to buy an E30 preferably manual coupe with white paint Other E30s will be considered as well!! 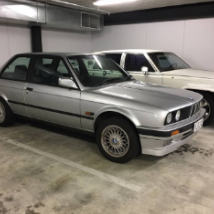 Hi all, I’ve just acquired a mint automatic E30 318 facelift coupe with a very ticky M40 and am wanting to swap in a m42 and Getrag 240 out of an E36 318. I understand the engine and gearbox bolt up to the M40 engine mounts/arms and I can use the loom and ECU from the E36. 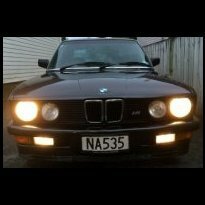 My question is regarding the prop-shaft and diff – Will either the e30 or e36 prop-shaft bolt in or will I need to source an E30 manual prop-shaft and am I correct in assuming that the E36 diff would be preferable? I’ve also read that I will need a E30is (M42) exhaust manifold – can anyone confirm if this is the case? 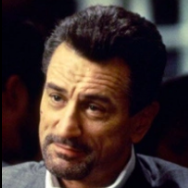 I am also looking to do a coil on plug conversion from an M52, a AFM to MAF Conversion from an M44 and a single mass flywheel from an M20 as well as some sort of chip which is yet to be decided. If anyone has done this conversion and can offer some advice or knows of a donor car for sale that would be greatly appreciated. Cheers, Shaun. Hi all, Does anyone know of a good shop to repair some of the mechanical components inside my coupe drivers seat in Christchurch? I have the comfort seats at the moment, but some of the internal mechanisms are broken; The cloth is in good condition so I would prefer to get them repaired over trying to find and pay for a good condition coupe seat. Cheers! After a rear sway bar and brackets for da30. Prefer 14.5 but will consider 12 or aftermarket 16. 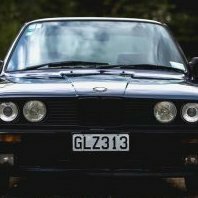 Anyone on here used Ireland Engineering stainless mufflers on their E30s? Seem pretty cost effective and next best from Supersprint/Remix. Advice please. I have got myself some 16” Alpina replicas staggered 7”&8” for my 1988 320i. . Suspension setup is Bilstein shocks and springs all round so sits a little lower than standard. Trolling the internet it appeared that 205x55 and 225x50 rubber was the way to go for a B3 setup, but the ‘Michelin Man’ told me the 55’s may be to tall so go 50 on front and rear (as 225x45 options appear to be limited for the rear). Of course this means the rears will be 20mm taller. Does this matter? I was looking at Michelin PS3 ( for fast road occasional track day) as I have PS4 on the B5 and like them. Any other options members can suggest/recommend? 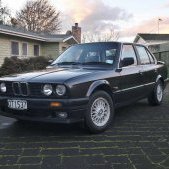 Does anyone know the diff ratio on a E30 325i auto? Were there several different ones? Most common? And did it change on an LSD? Cheers.